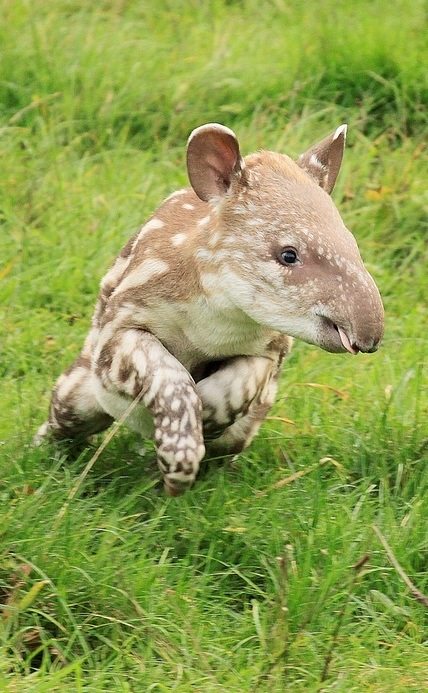 You may be asking yourself, what is a tapir? A tapir is a large herbivorous animal, similar in shape to a pig, with a short prehensile snout (prehensile means it can grasp, it’s kind of like a tiny elephant trunk). Tapirs live in the jungle in three main areas – South America, Central America, and Southeast Asia. What a cool animal!